Embroidered sequin mesh over peacock and navy spandex brief-cut leotard with navy mesh illusion neckline and criss cross back detail. 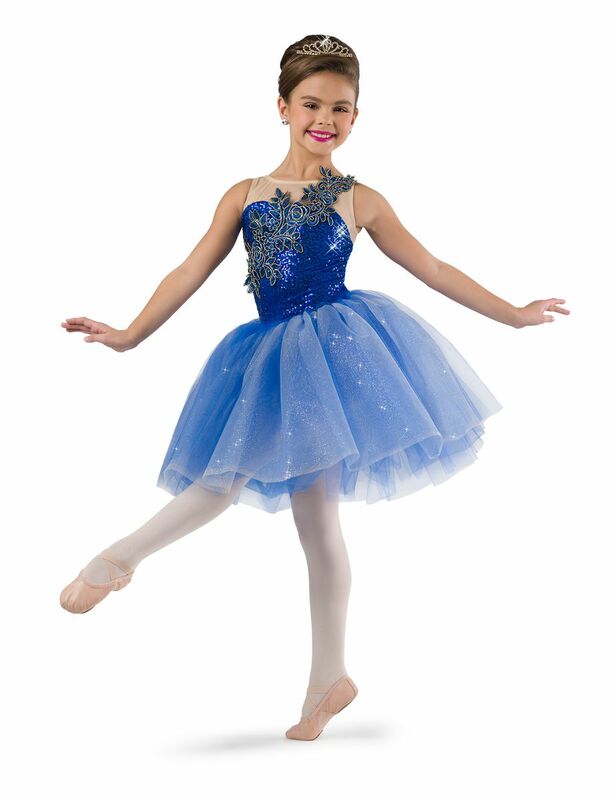 Separate multi-colored tulle tutu AND multi-colored sequin fringe skirt. Made in the USA / Imported.